The Teddy Bear Hospital is the flagship program of the Ashintosh Foundation, which meets one of our primary aims: improving the health of the community. 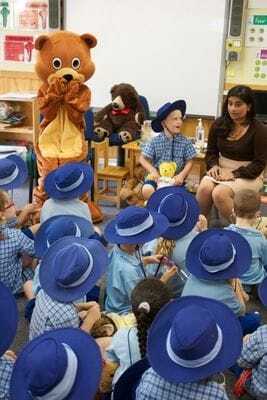 It is a free interactive program run by Medical Students that travels to primary schools. 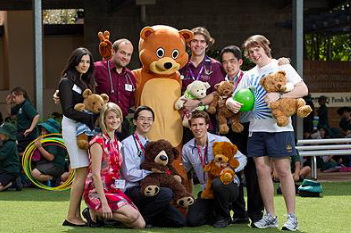 The students use the children's own teddy bears to promote key health messages and foster positive relationships with health professionals at an early age. It is a fun, interactive and educational initiative that raises awareness in children about the importance of healthy eating, dental hygiene, regular exercise and sun safety. The program has also been so successful that it has inspired a range of offshoot programs across the state. To break down barriers between young children and healthcare professionals and foster positive relationships at an early age. Children are invited to bring their teddy bears along to the session. At each station the medical students act as "doctors" for the children's "sick" teddy bears, utilizing fun and interactive material to teach the children how to keep themselves and their teddy bears healthy. Each station runs for 15 minutes, so a Teddy Bear Hospital visit lasts about an hour. At the end of the visit all children are awarded an official certificate of participation and teachers are provided with resources to reinforce the classroom health syllabus. Find out about our latest visits in Latest News. 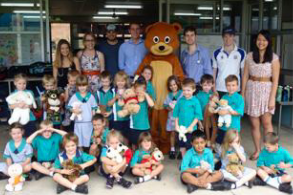 Interested in arranging a free Teddy Bear Hospital visit at your primary school? Simply e-mail tbh.external@ashintosh.org and we can arrange a visit for Big Ted and his army of Teddy Doctors.